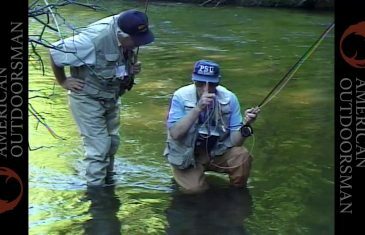 The venerable and wise Joe Humphreys sharing his skill and knowledge about fly fishing. Find his excellent books on Amazon along with high quality fishing shirts by The American Outdoorsman. The American Outdoorsman Report offers you tips for hunting, fishing, camping – just about anything outdoors. Here is one of great American Outdoorsman secrets when it comes to Fly Fishing.